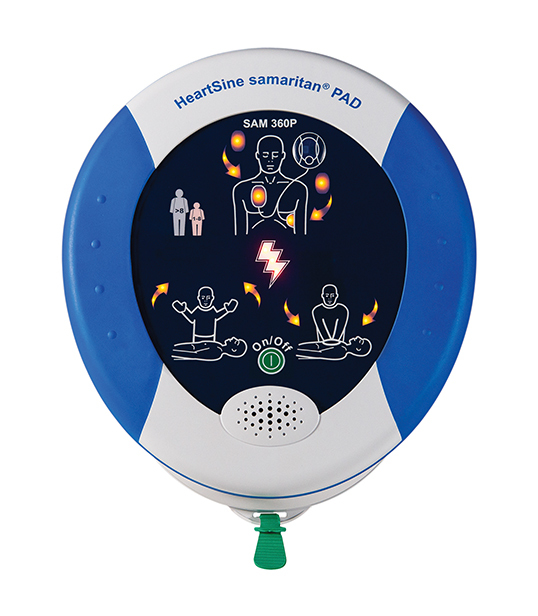 The HeartSine samaritan PAD 360P is a simple to own fully-automatic defibrillator, designed to be durable, affordable, and highly user-friendly, all while in the smallest and lightest package available. HeartSine AED units are built to last with an outstanding 8 year warrranty. HeartSine's battery and electrode pads, called Pad-Paks, are combine into a single cartridge with a 4 year expiration date so maintenance couldn't be easier. 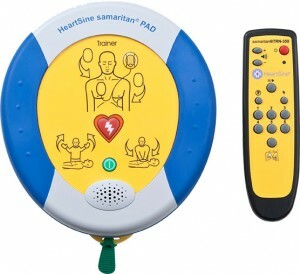 HeartSine is the only AED company that will replace the Pad-Pak for free if it's used in a real emergency and also has a Forward Hearts program that lets the survivors of a SCA event, in which a HeartSine AED was used, donate an AED to a charity or organization of the survivor's choice. 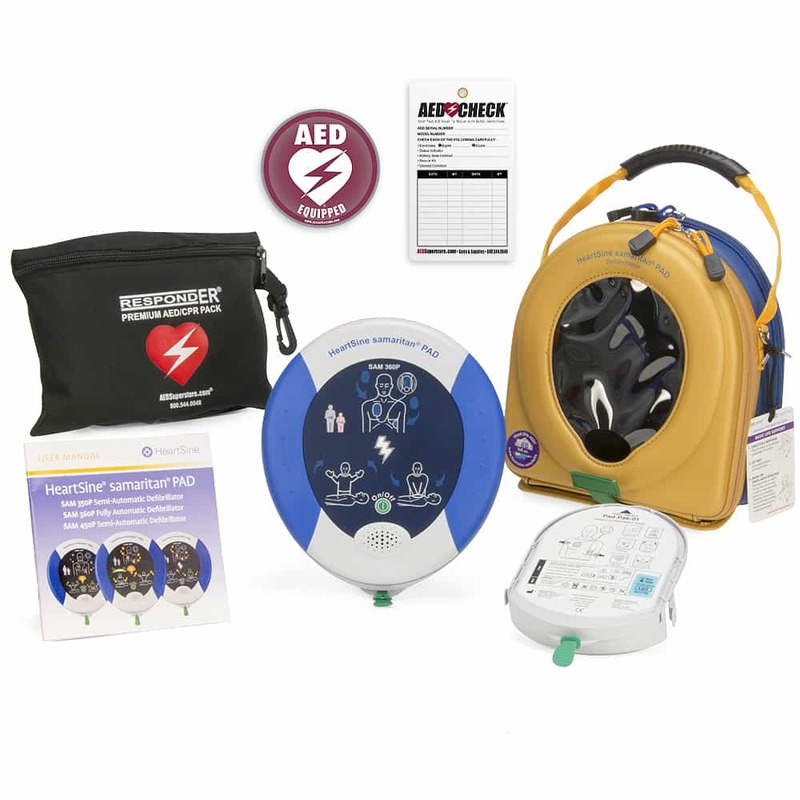 360P AED $1,345 Includes samaritan PAD 360P AED with prescription, 8 year warranty, semi-rigid carry case, adult Pad-Pak, premium prep-kit, AED sticker, and inspection tag. add Facility Package $172 Alarmed wall cabinet, and AED projection sign. add Mobile Package $145 Durable watertight hardshell mobile case. Quantity discounts available, contact us for a quote! Realistic training unit w/ remote. Includes rechargeable battery & charger, training electrodes and user guide. Additional accessories available, contact us for a quote.